A few days ago HMD Global invited Indian press to a Nokia event scheduled for 6th December – just a day after the global Nokia event in Dubai. Today, reports from the press in India claim that the event was postponed. Precisely, FoneArena reports that Nokia event in India was moved from 6th to 10th of December. 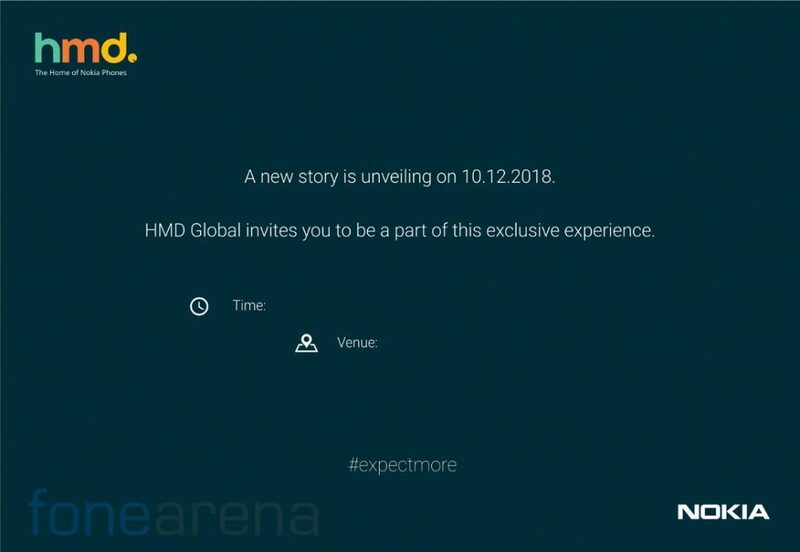 The published invitations contains the hashtag #ExpectMore, same as the Dubai event, so we can assume that the event in India is a local invent where the domestic press will get a chance to play with the device(s) announced in Dubai. A bit surprising, Nokia 7.1 was also announced for India. The device will go on sale on 7th December for 19,999INR or 250 euro via Nokia’s own webshop and other retailers as well, which means that the 10th December event can’t be (just) about the 7.1.